Nowadays I got more and more cheap “netbook” that owner can’t re-install windows operating system to help them. In a lot of case recovery (from recovery partition) is not possible (not work or it was purged during try of re-installation). To install a fresh windows is not a big deal (who can’t set it to boot from EFI-source and create media for it, don’t start to re-install windows!) but find correct drivers are challenge as window’s update don’t contain the right drivers for these kind of mixed platforms (can be run android on it too). Exact type of affected machine: Selecline CW10Q3/873828 netbook. If Windows 10 won’t install on the tablet with error code 0xc0000017, try an older version, e.g. 1703 (Creators Update). WHAT A HELP MAN ! ! ! I had been looking for drivers for REACH NETBOOK (COSMOS) RCN02 for ladt 18 days! ! ! I have mailed the seller several times and havent got any answear till date, as if they do not want to provide me with any driver or they seem do not want to DISCLOSE it !!! Thank you, and indeed Selecline should be ashamed to not offer drivers or support on a site. My sound is not working in this same thing I’ve tried everything, any thing you guys can suggest or any particular driver you have? Please share more details about your device. I found that Selecline is the brand of a french discount-mall network, Auchan. Nobody can expect from a grocery store to support their devices, however a basic homepage and working links for the drivers is essential. Tíhis driver was worked for me (more or less) on another Selecline model, namely the cw10q3 / 876890. I found audio issue, and then “multimedia controller” driver trouble. The audio driver was solved via installing the Atom Z3700 series platform driver, and also the es1386 (or similar, i do not remember the exact type) audio device.. The Multimedia controller, however was resolved via a chipset driver, and it works well via a “2nd gen. Core Memory controller”… Interesting, but the yellow exclamation mark was disappear in the device manager. But i do not recommend this notebook… it is a crap. 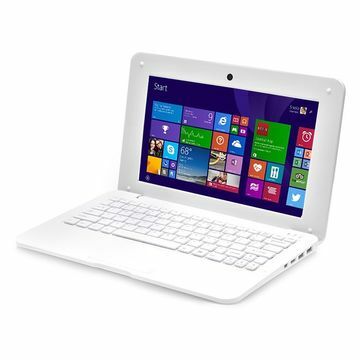 It is “new”, but for a laptop it is small, and you cannot use as a tablet because the built in keyboard, and the ports. It is slow (in 2018), my android phone runs fluently, and it is older. I know there is a difference between android and windows… So, this is a waste of electric parts, and the designer of this laptop could have a better job. You are a total God Send. I just clean installed a Micromax Lapbook on Win 10 (Indian equivalent to the many listed products above), and I forgot to make backup of the drivers, nothing was working except the OS and the external mouse; Brightness, no audio device, no battery, etc, all of them have been fixed now. A really, really big thanks to you my friend.